The shortlist for the $60,000 International Prize for Arabic Fiction 2010 (IPAF) — better known colloquially as “The Arabic Booker” — was as announced on Tuesday at the Beirut International Book Fair in Lebanon. 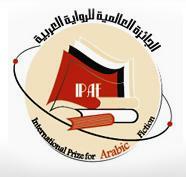 The prize, now in its third year, honors works published in Arabic. The winner recieves $50,000, in addition to the $10,000 given to each shortlisted author. Now in its third year, the IPAF has introduced a handful of new Arabic language writers to the West. The winner of the 2008 prize, Sunset Oasis by Egyptian novelist Bahaa Taher, has recently been published in the UK by Sceptre (an imprint of Hodder & Stoughton). Rights for the book have also been sold in France, Germany, Norway, Greece Romania, Bosnia and Canada.